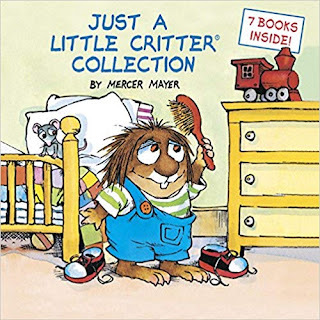 Hurry over to Amazon where you can score this Just a Little Critter Collection Hardcover Book for only $4.99 (Retail $9.99) – lowest price! Celebrate 40 years of Little Critter with seven classic stories in one book, including Just for You (the very first Little Critter story! ), Just Go to Bed, All by Myself, I Was So Mad, When I Get Bigger, Just a Mess, and I Just Forgot. This 176-page hardcover collection is a wonderful way to introduce Mercer Mayer's beloved tales of growing up to a whole new generation. **Please note that this is temporarily out of stock, but they will ship when it becomes available. You will not be charged until the book ships!